As summer starts to settle in, in the high country, the Ice finally recedes from Temple Lake allowing Mt. Temple to be reflected in the glass smooth waters. The east face of Mt. Temple. This side shows the effect of the Glaciers as they receded hollowing a bowl and hanging valley at it's base. 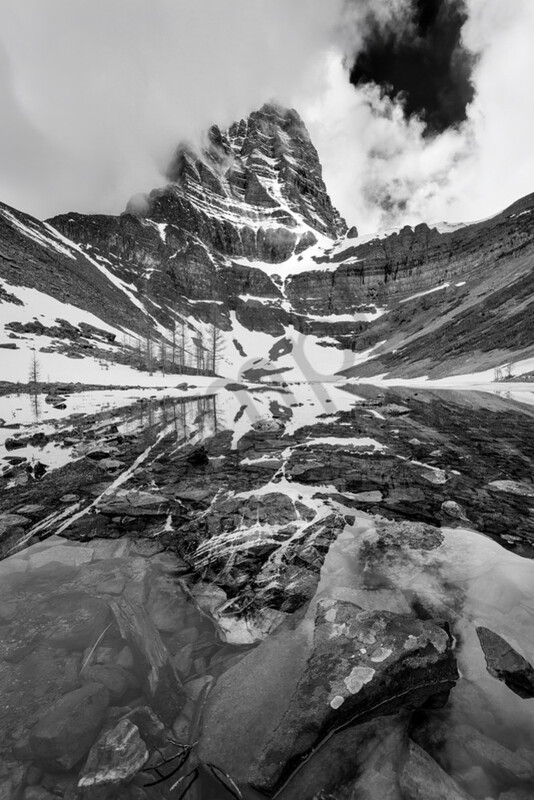 The lake is a seldom visited spot and affords a different perspective on the imposing Mt. Temple. The storm clouds were whirling about the peak and obscuring the view all the while making it more dramatic when it poked out!